Neville Thyme is a beautiful, contemporary paisley print on a white cotton base fabric from Hamilton Fabrics designer collection. 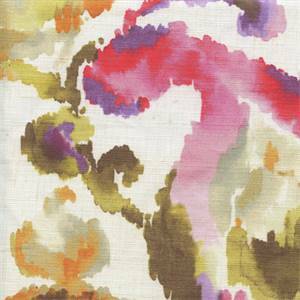 Gorgeous greens, pinks, purples, oranges, and grays come together to make this water color a must have piece for any decor. Perfect for drapes, pillows, comforters, duvets, coverlets, bed skirts, and headboards, it will make a statement in any room of your home, office, or college dorm.